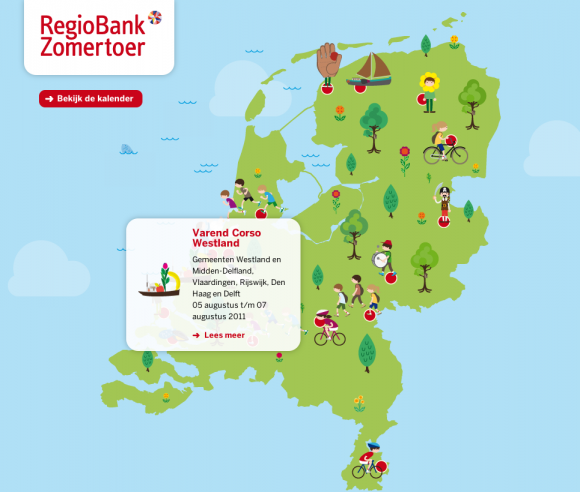 Dutch financial institution RegioBank will be touring the Netherlands this summer, visiting various community-oriented events. 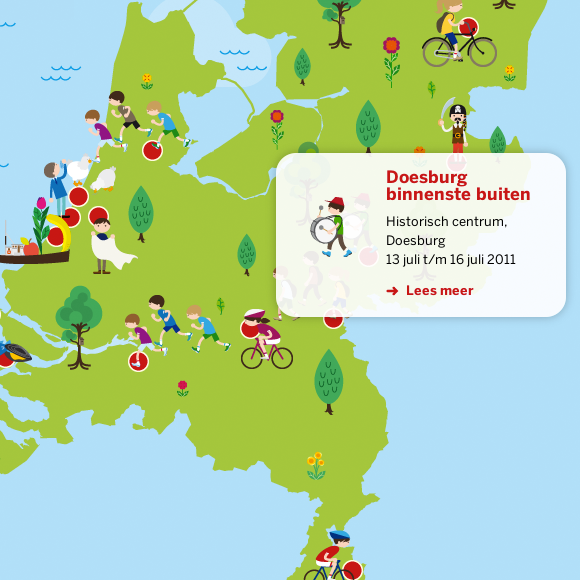 Design studio Vandejong Amsterdam created a fun but simple map-based website to publicize the tour, pairing colorful illustrations and simple animation (mouse over the fish!) with clean and effective typography. The choice of Benton Sans for a supporting typeface works well with the simple graphic style of the illustrations, achieving a friendly overall feeling without being cheesy or garish. 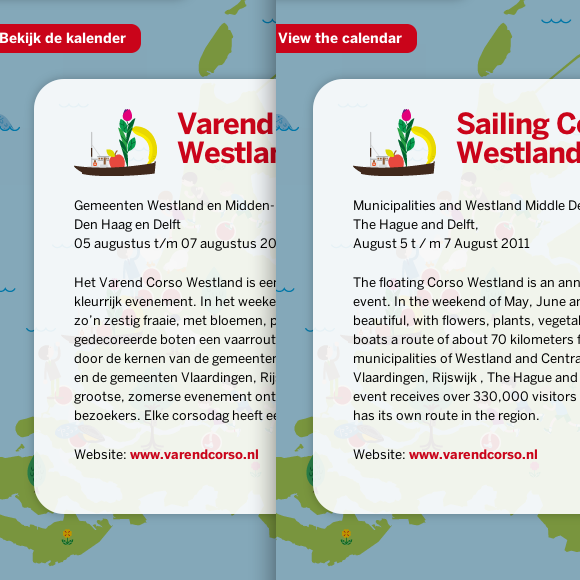 Original Dutch site (left) and automatic English translation.